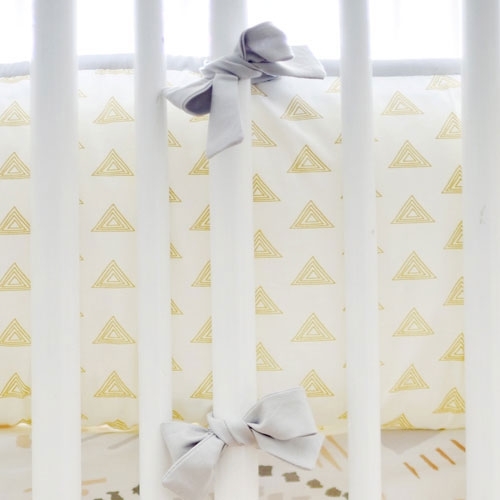 Add a little adventure to your baby s nursery with this gray and gold aztec baby bedding! 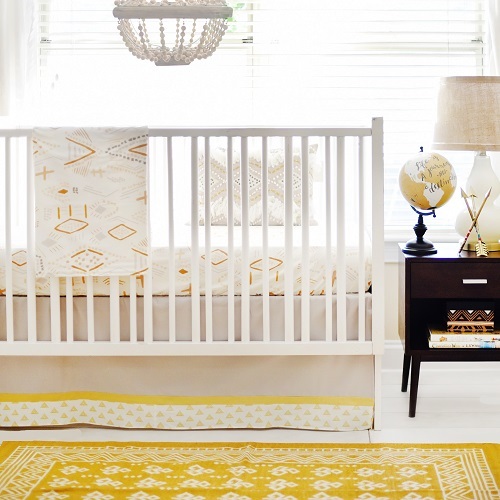 Our Head West Crib Collection has a fun, animated pattern. 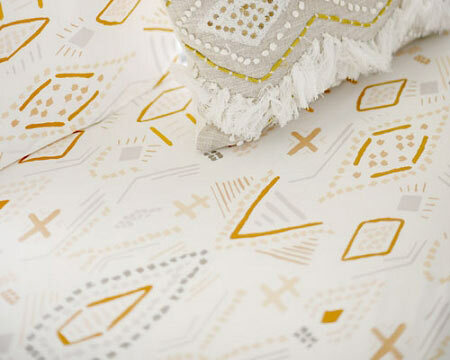 With a tribal scheme, this gray and gold tribal baby bedding will be perfect in a baby boy's room. 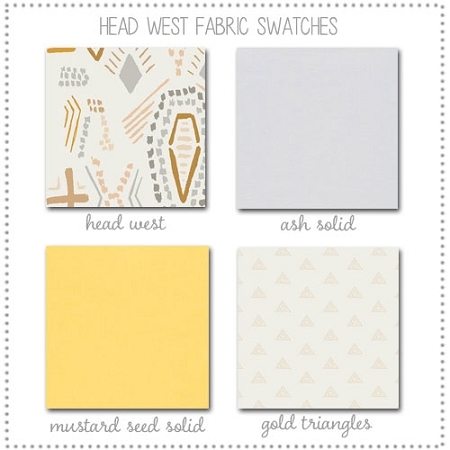 With different shapes and pattern, this Head West collection is simple yet playful. 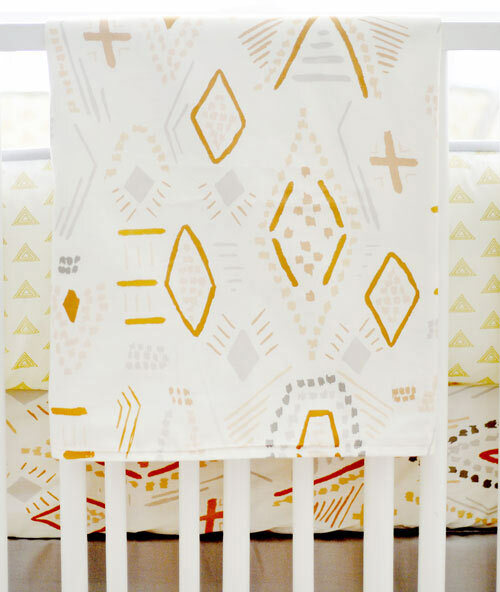 Choose from two different crib sheets: Head West Crib Sheet or Gold Triangles Crib Sheet. 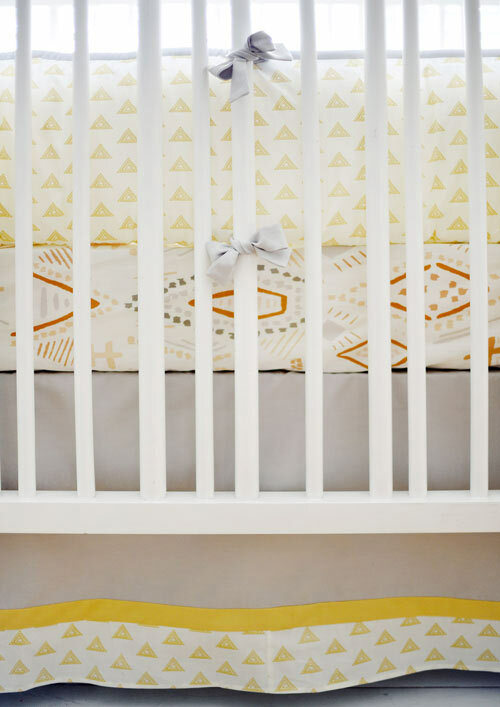 Crib bumper is slip covered for easy cleaning. 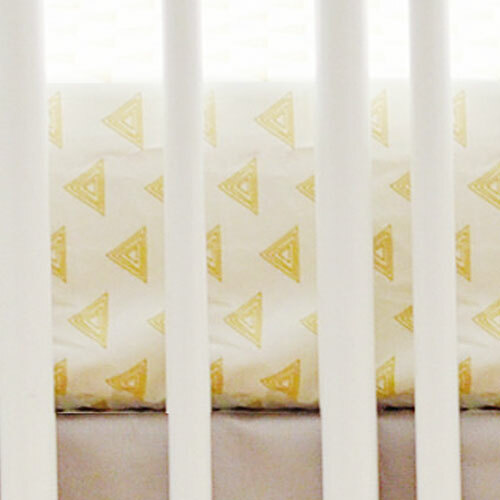 If you prefer a crib rail cover instead of a bumper, see our Head West Crib Rail Cover Set. 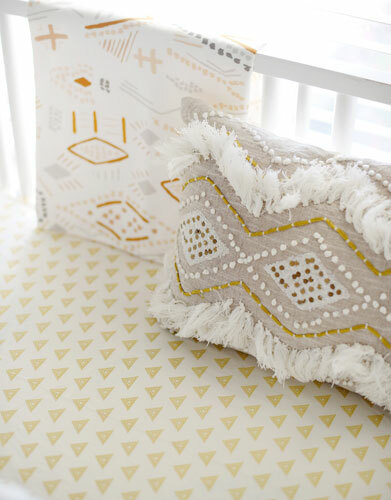 Coordinate your gray and gold tribal baby bedding with the accessories shown below. 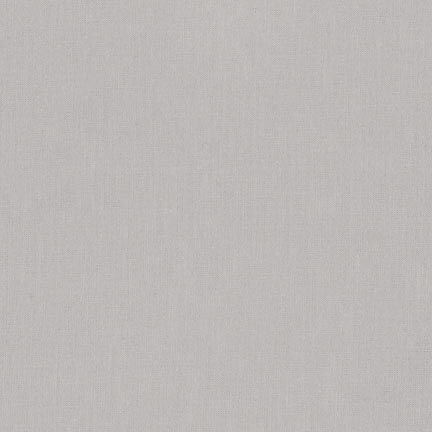 Want to make a change to this set? 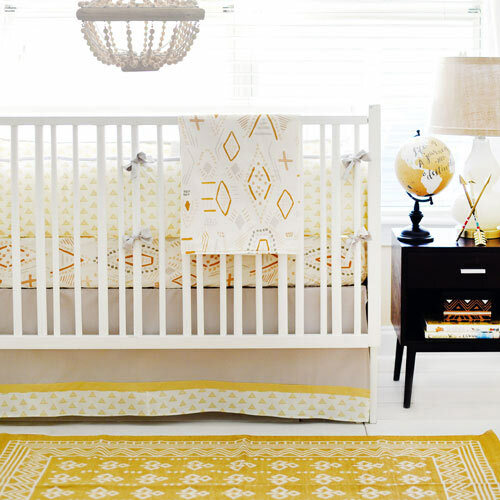 Choose a different fabric, skirt style & more? 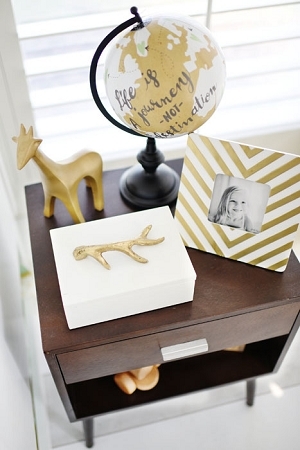 Call 1-888-326-9065 or email <="">for customization options!